When I tell you I’m so glad I still have my cosmetology license, I REALLY, REALLY am. That professionals discount is so clutch! Between Cayden and I— we go through products like crazy. Steven says I’m raising one high maintenance little boy, but his curl type is so perfect I just don’t want to ruin it by using damaging or cheap products. My mother, being from El Salvador, didn’t know how to care for my multicultural hair. As I’ve mentioned before, my biological father is Black and Italian so she didn’t know how to care and style my kind of curl type. Latina women, for the most part, have straight or wavy hair unless they are Afro-Latina. In my mother’s case, she has wavy almost straight hair so how could she know any better? 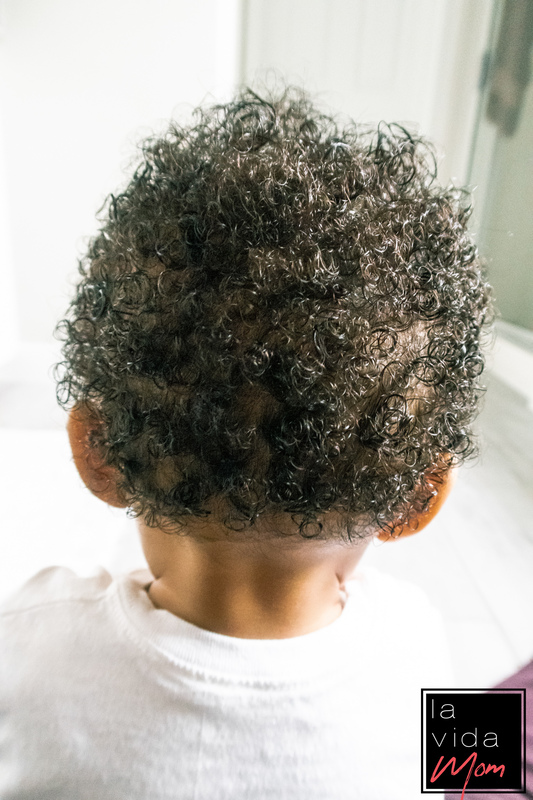 My son, having a father who is full black, along with my Latina, Black, and Italian blood has inherited an interesting hair texture and pattern. It doesn’t help that he’s also inherited my cowlick (he’s got one little piece of curl that will stick straight up like Alfalfa). 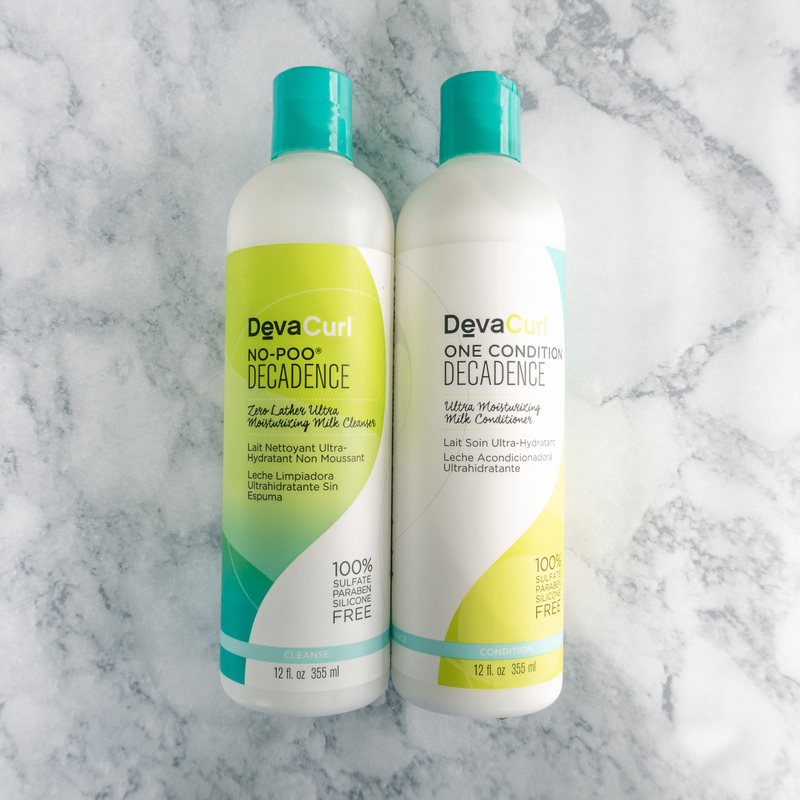 My go-to for both Cayden and I is DevaCurl. If you remember my boudoir maternity shoot, I had my curly hair naturally down. That look was all done with DevaCurl product and have been using the line for a few years prior. I was so sick during my pregnancy that I started embracing my curls more only because I didn’t have the energy to straighten or style it. 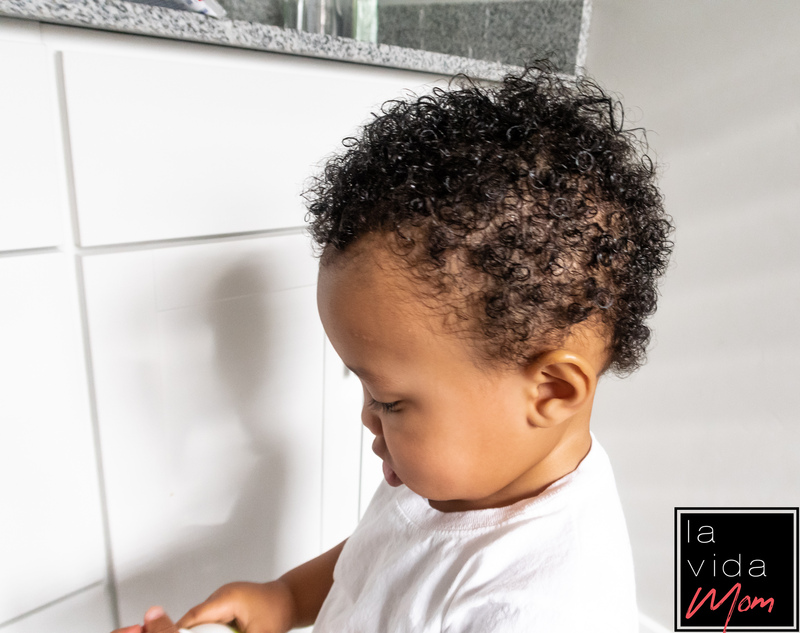 Now that Cayden has a full head of hair and we’re past the baby slick-straight-hair stage, I can tell what kind of curl type he is and it has reacted well to the products I use for his hair maintenance routine. 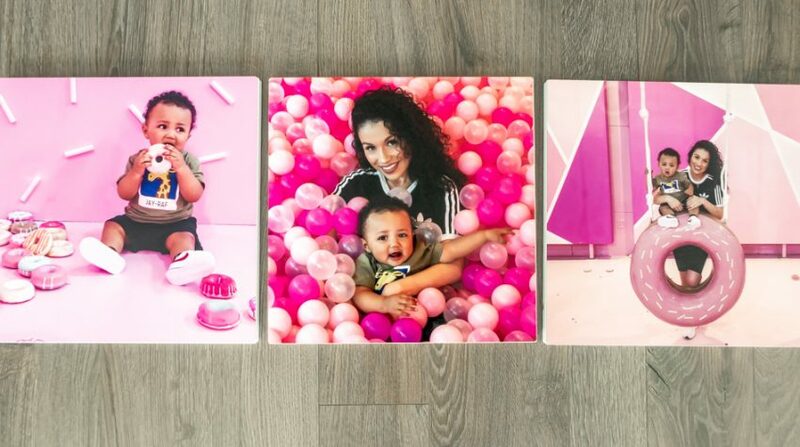 So for any moms looking for a few pointers, here’s the details on what I use for Cayden’s tight curl. Again, every curl type is different so what may work for us might not work for y’all but it could be a good starting point for trial and error. On wash day, I start with DevaCurl No-Poo Decadence and One Condition Decadence. 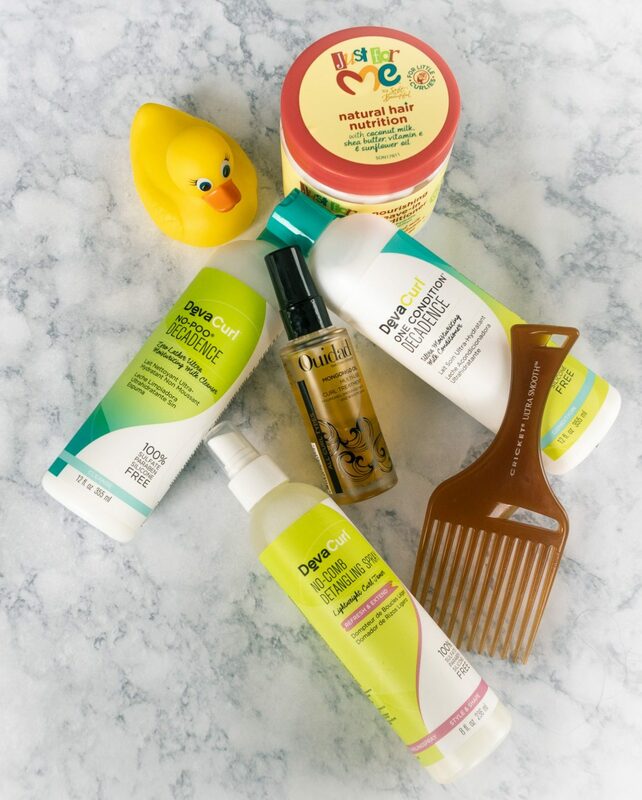 I love that these products don’t have any sulfates, parabens, or silicone. Since I’m using a leave-in conditioner to style, I rinse out the conditioner some, but not all the way. After drying his hair with the DevaCurl towel, I spray a little bit of the DevaCurl No-Comb detangling spray and run my fingers through his curl (it helps that I have super long nails usually). 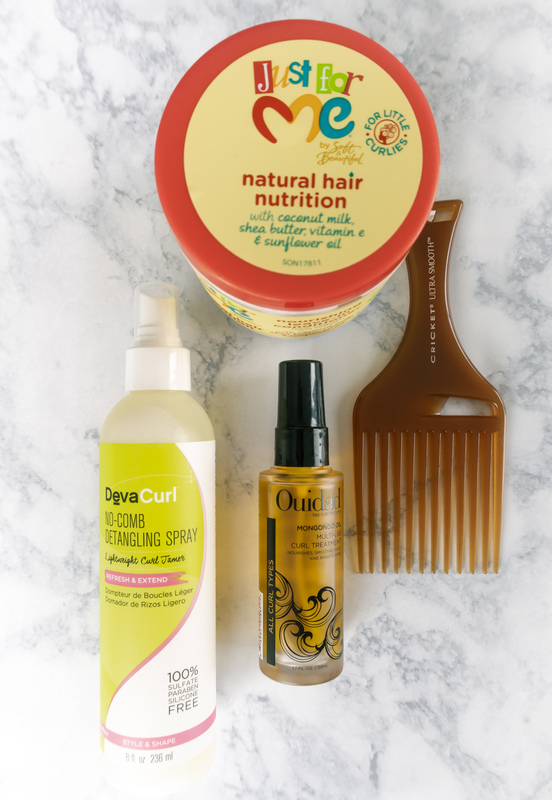 After detangling, I use Just For Me Natural Hair Nutrition leave-in Conditioner. I swear by this little magic cream. It’s got coconut milk, shea butter, vitamin E, and sunflower oil. I love that it holds the curl without frizz and I don’t need to use damaging products like gel or hairspray. With the hair pick, starting at the ends of his hair, I’ll run through his hair lightly to get excess product out. I seriously cringe when I see people combing curly hair starting from the root (for those that are unaware, combing curls from the root leads to serious breakage and you can tell at the ends by how frazzle they start looking).Once it’s evenly distributed, I’ll scrunch his curls back up with my fingers. 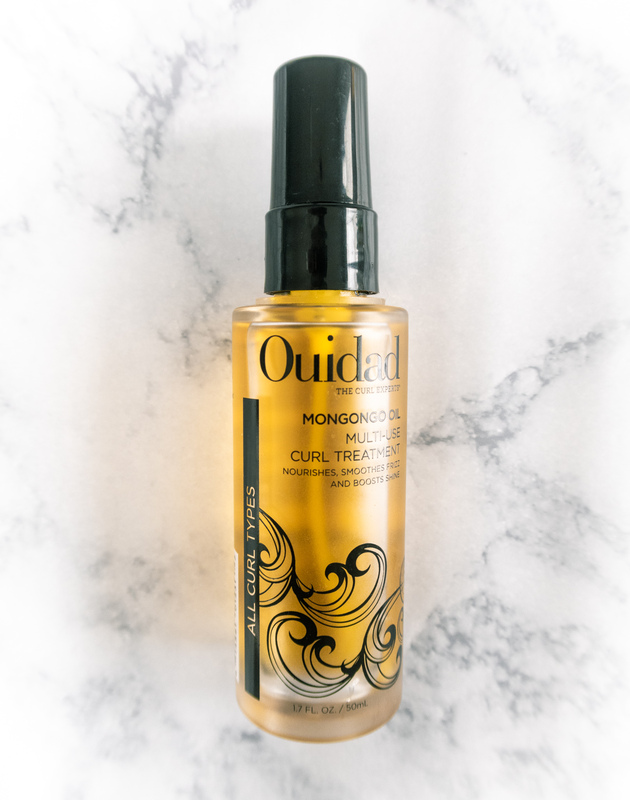 Now for the shiny-glossy healthy hair look, I’ll finish it off with Ouidad’s Mongogo oil. What I love about this oil is that it’s fast absorbing so it doesn’t linger on the hair making it greasy like Pinky off the Next Friday movie. 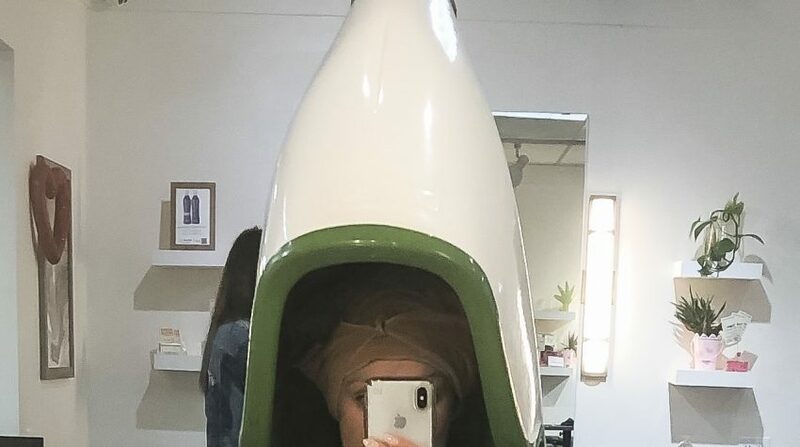 I learned that little oil trick from my girl Kellan who has the most GORGEOUS curly hair I have ever seen on ANYONE (literally). 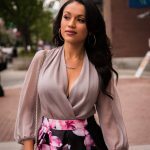 She’s got a beauty blog and isn’t a fan of DevaCurl so if you find that DevaCurl doesn’t work for you, definitely follow her blog and ask her for more tips. 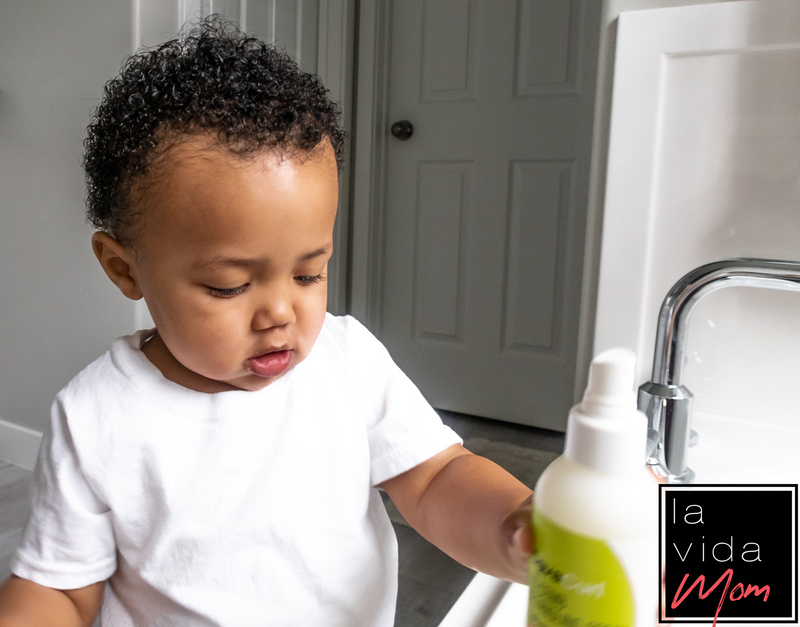 I hope this helps any mama out there struggling to find safe products for their little’s curl. 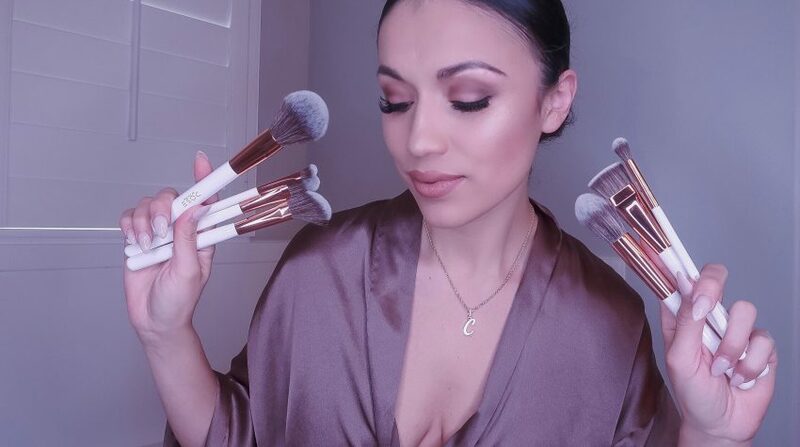 Also, if you have any products you love and swear by, drop them in the comments below. I love trying new products and it could also help any mama out there reading this.